“Dhaara jo gaana” said Amma, whose eyes sparkled with love. Her face wore a broad smile as she readied cups of chai for us. Amma was inviting us to accompany her for a journey to ‘Dhaar’ in the upper mountains with her small cattle family. Amma was to stay at her mud and stone home at Rakhala. Dhaar is where they take their cattle for grazing in the upper mountains as the monsoons arrive. 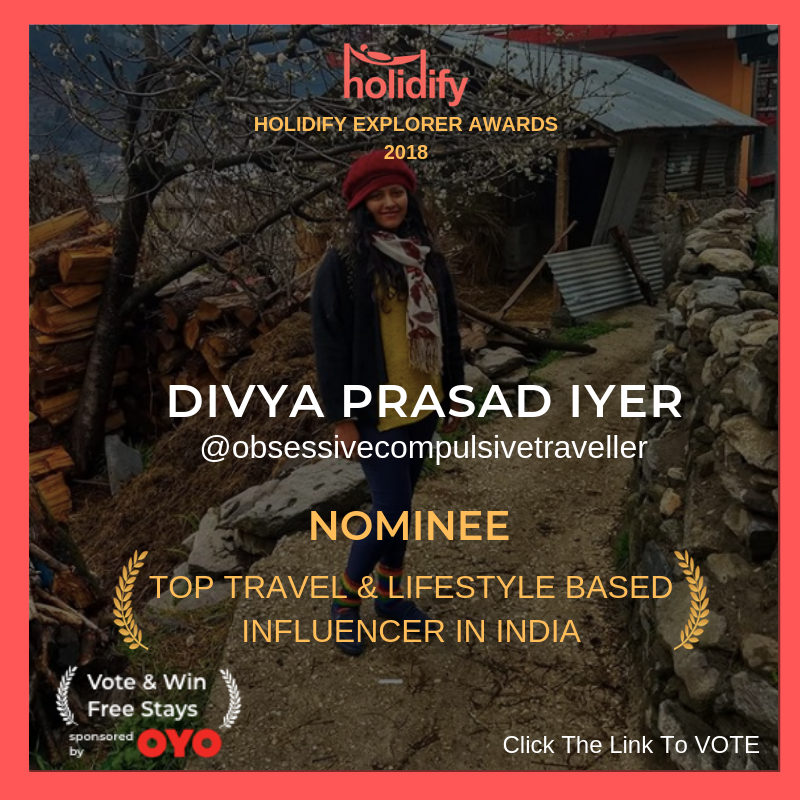 Having been residents of Khirku – a small Gaddi hamlet in Kangra Valley, we were frequently invited by the Gaddi Folk in the village for these beautiful journeys in the mountains. What was a way of life for the Gaddis, had now become an exciting exploration for us. Chailo amma is also the oracle for the local goddess of our village. Chailo in gaddi means ‘Beautiful’ and she was one soul true to her name. 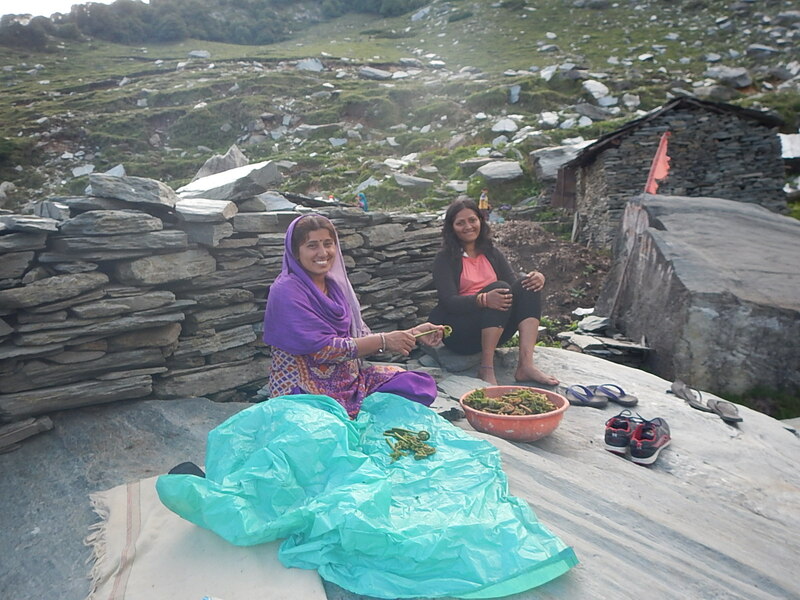 We were always keen on understanding their way of life and leaving for Dhaar with Amma was an opportunity to learn about their life in the mountains. As the rains drench the lush valley of Kangra, the Gaddi women travel high up the mountains to graze their cattle and live there for three months up to the festival of Sair in September. 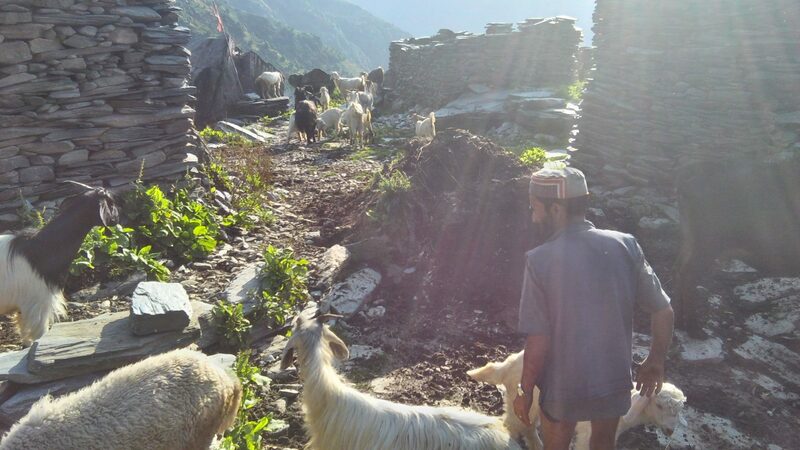 On the other hand, men take charge of their ‘Dhan’ – the goats and sheep; crossing high passes and getting to Chamba valley. 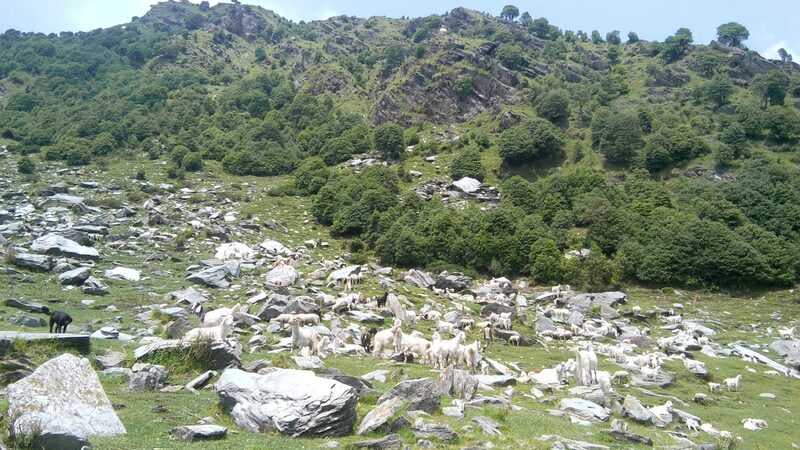 It’s the time when a variety of grass grow in the upper mountains, and that’s the only reason why they move up with their cattle and flock. 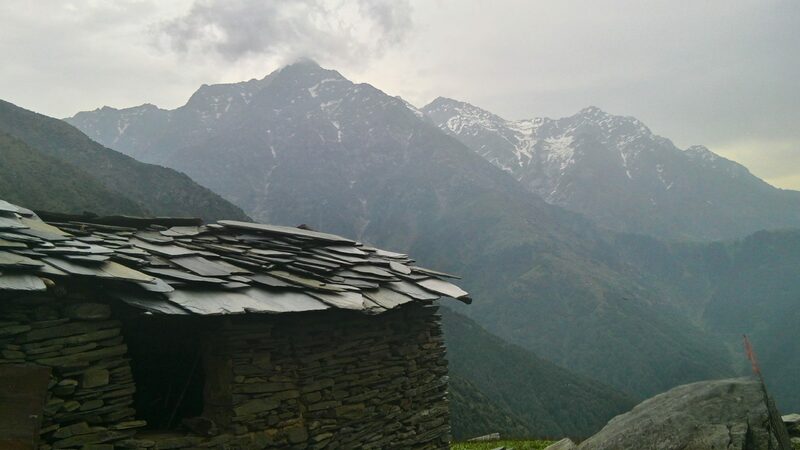 Every Gaddi would have a home in the upper mountains close to where the cattle graze; which they refer to as ‘Dhaar’. To the Gaddis, their ‘Dhan’ is their most beloved form of wealth; for these nomadic tribes have hardly known any other. It’s beautiful to feel the ways their love manifests in these forms. 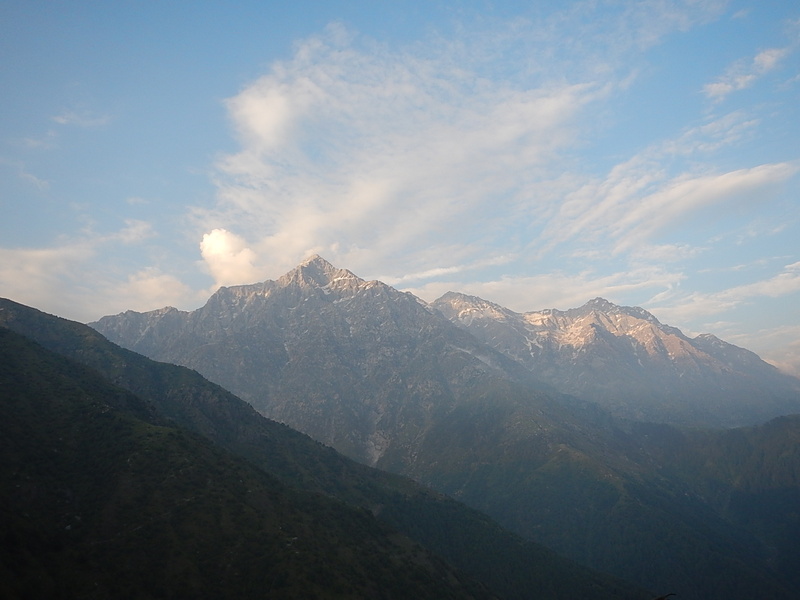 On a warm morning, we were all set to trek up to Rakhala. 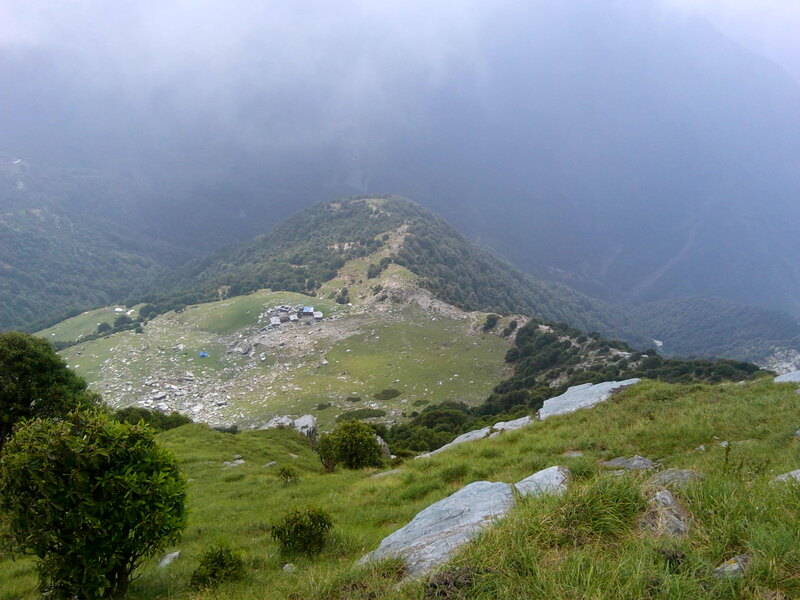 We trekked up for nine hours through pine forests and lush grasslands. As we neared Rakhala, we were welcomed by a chilly hailstorm and hurried our way to reach Amma’s Dhaar. 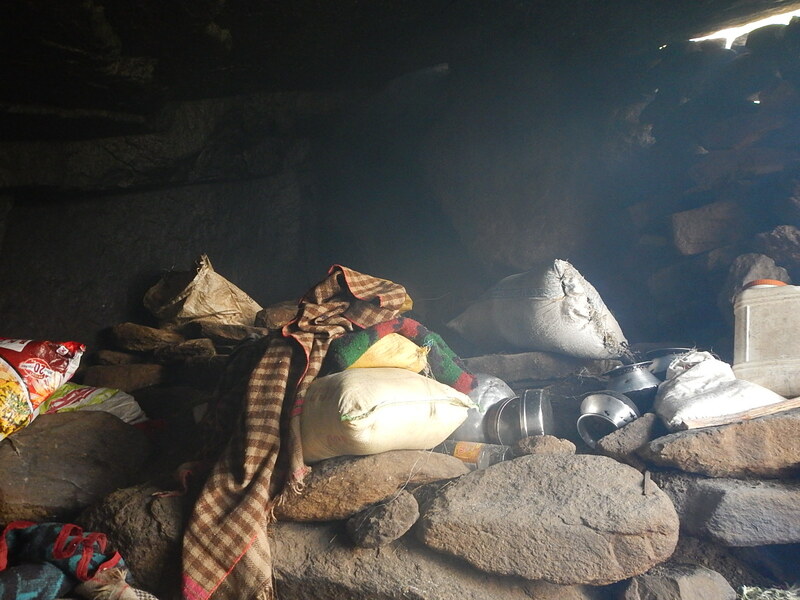 Drenched and frozen, we warmed up to the ‘chulha’and steaming cups of ‘Cha’ inside the mud and stone house. Rugged and minimal, the home was only occupied by Amma for three months in a year. 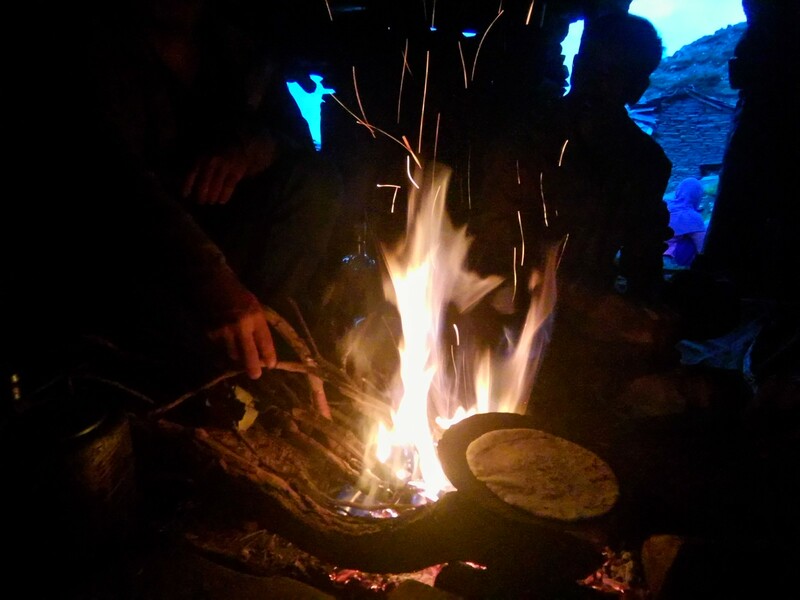 We indulged in a simple meal of rotis and ‘Lungdi’ – wild fern which was collected on the way up near a waterfall. We helped Amma fetch water from a ‘bodi’ – a waterbody that sprung from the higher mountains almost a kilometre or two away from the home. The forest shares its wild ferns with us. The next morning, we woke up to the shepherd’s call. 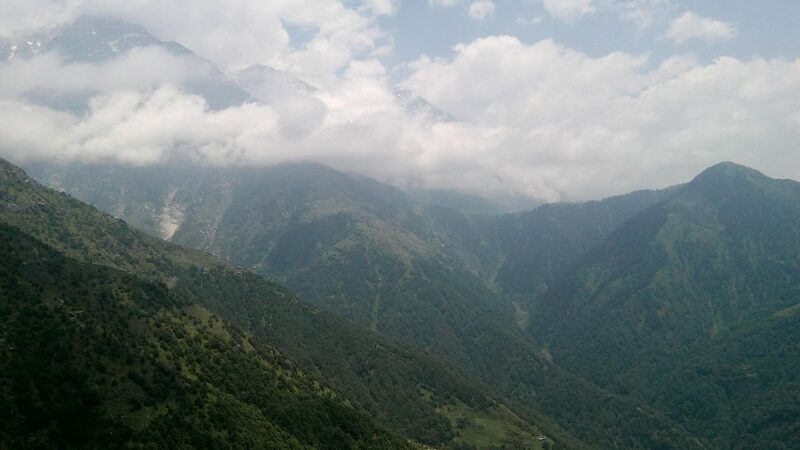 The mountains here were dotted with sheep and goats. 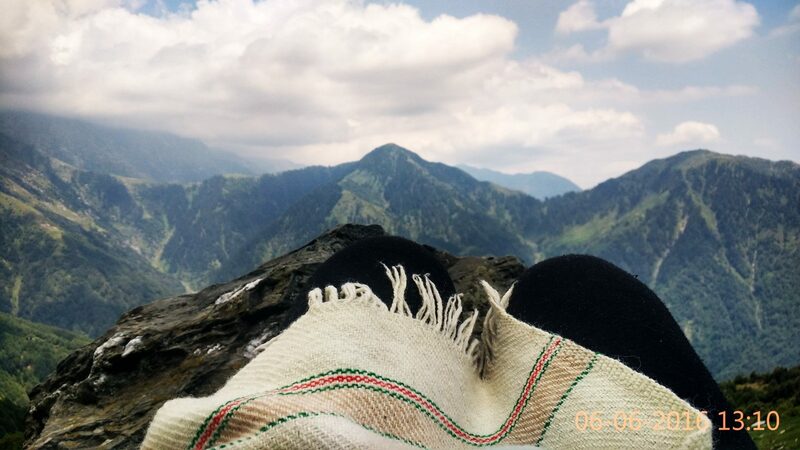 Sitting by the edge of the mountains, we soaked in the beauty of the mountains. Our days were spent reveling in the simple pleasures of Cha’s over conversations with Amma and fellow shepherds stationed in our vicinity. One beautiful part was that whatever supplies were carried from the village to Rakhala were to be used judiciously for the next three months, unless someone from the village comes to deliver some extra resources. The chances for such delivery were scarce as phone connectivity was nil in the upper mountains. During the stay at Dhaar, most meals included dairy due to the presence of cattle. 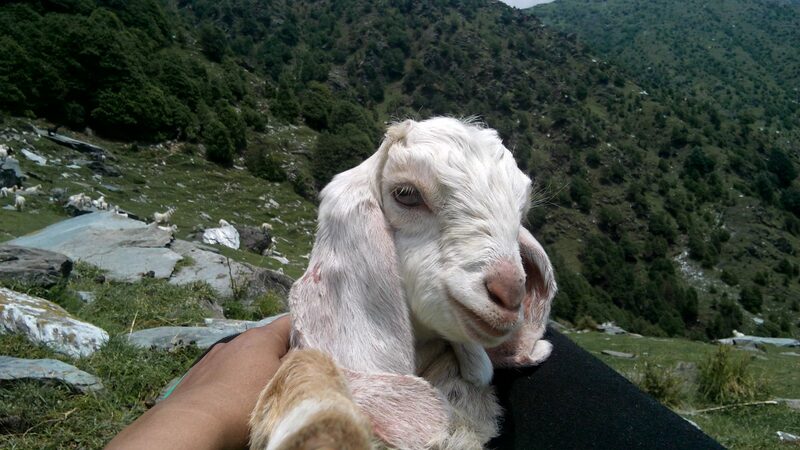 On some days, we also had the luxury of goat milk. 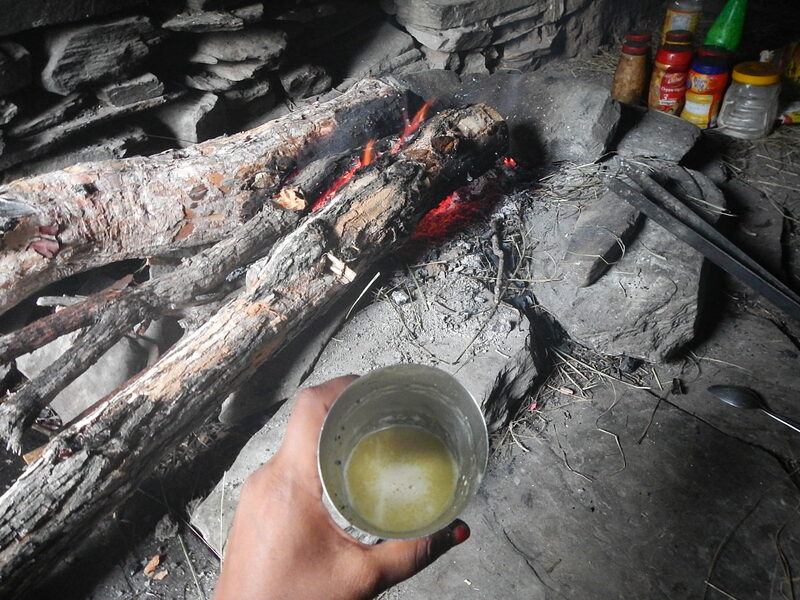 On one of the day hikes, we had the privilege of drinking a special ‘Ghee Cha’ which the shepherds make when they run out of milk. We shared many such beautiful moments of connection on this journey. 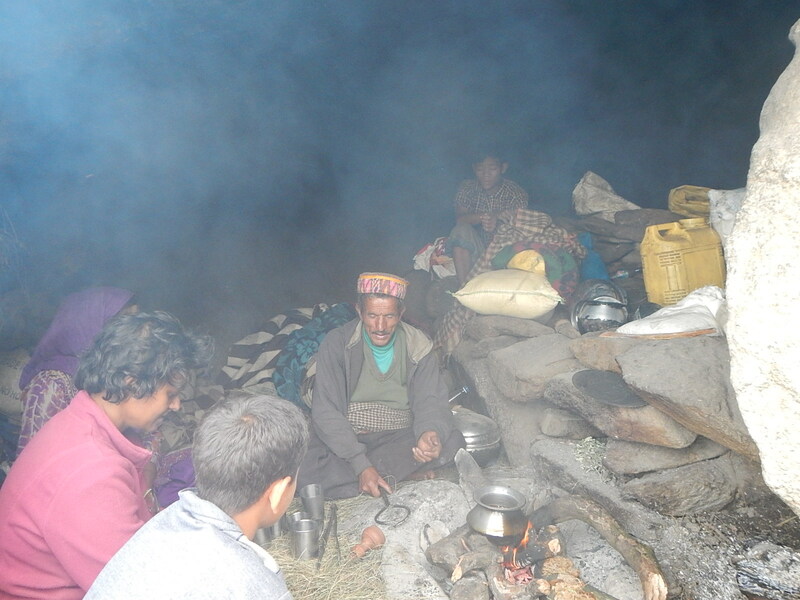 Our nights were spent by the Chulha sipping cha’s, hearing tales and singing Gaddi Folk songs. 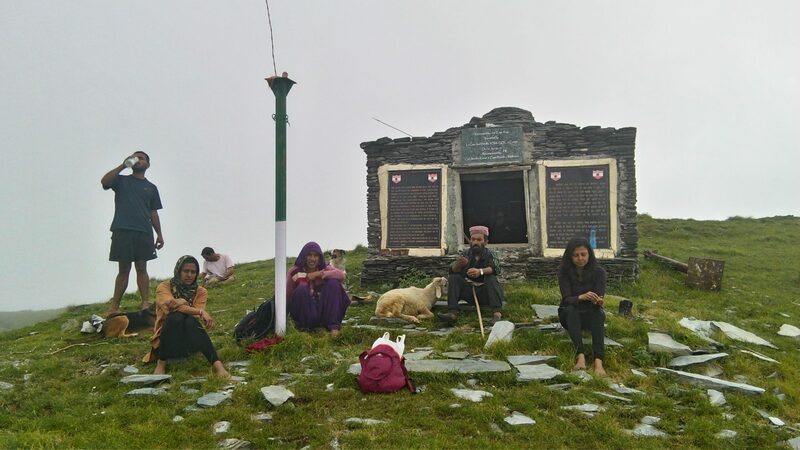 On a clear, sunny morning, we hiked up further to pay obeisance to ‘Jhandewali mata’– the deity of the upper mountains and also met some shepherds living in Guntu caves for Cha after a long day. 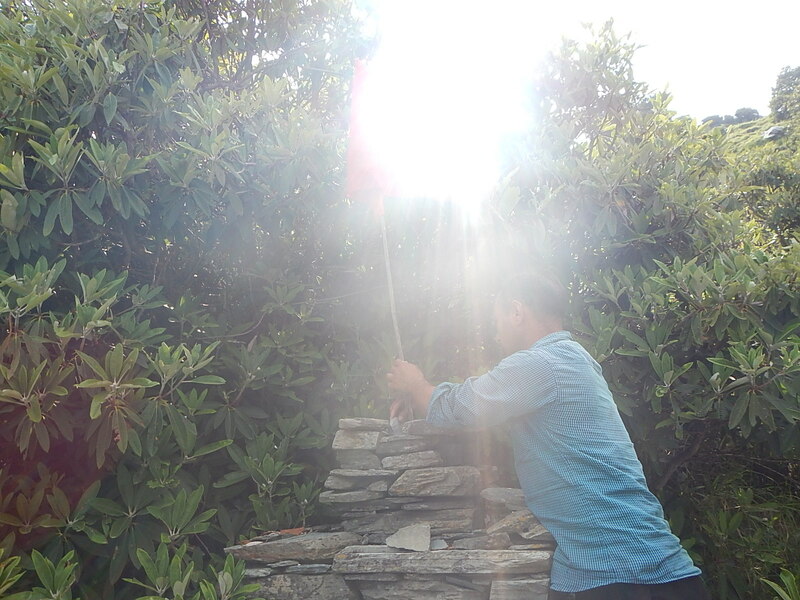 At the feet of the mountain Goddess Jhandewali Mata. Warming up hearts to a Ghee Cha. Wrapped in the warmth of Guntu caves. 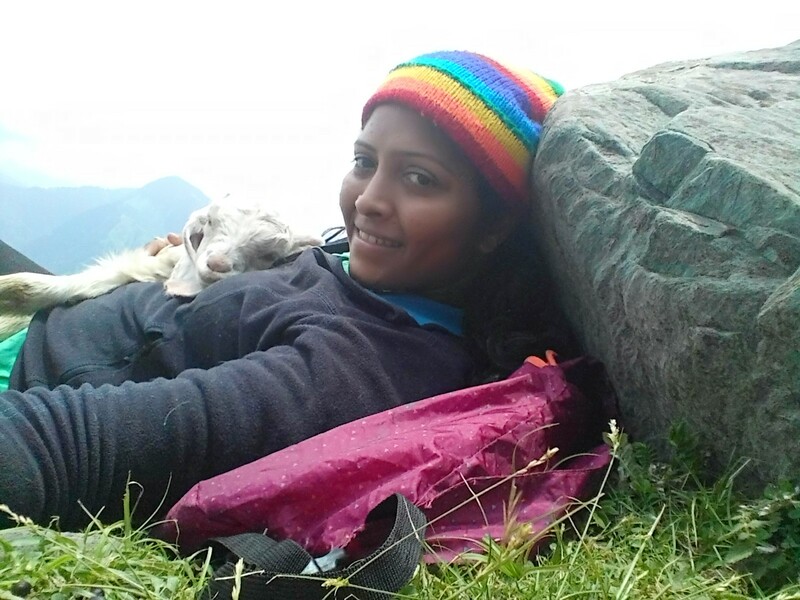 On another beautiful morning, we met shepherds who were on the way to Chamba and had taken a break at Rakhala. I went exploring further up from Rakhala with the shepherds, and by then, had an invitation to stay in their makeshift tent. 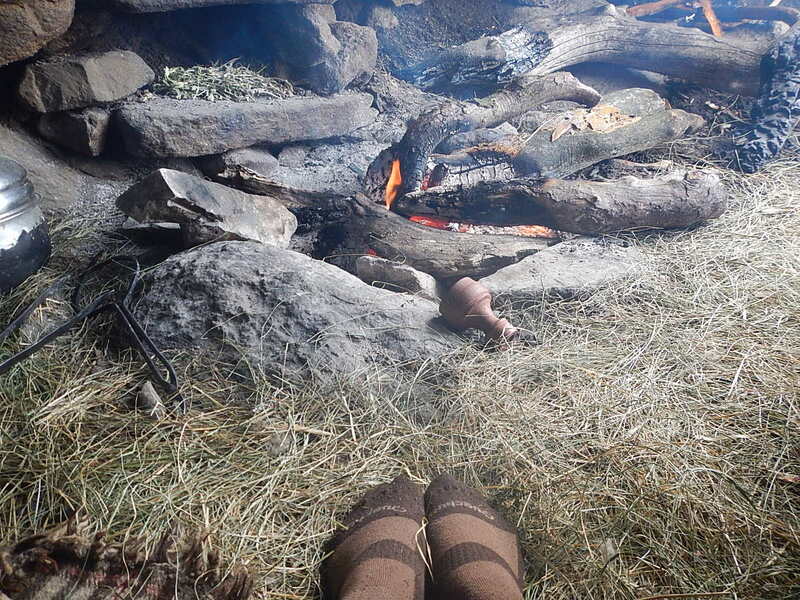 I lay in that tent; under a pile of hand-woven woolen Gardus (shawl) with a view of a grand, starry Milky Way above me. 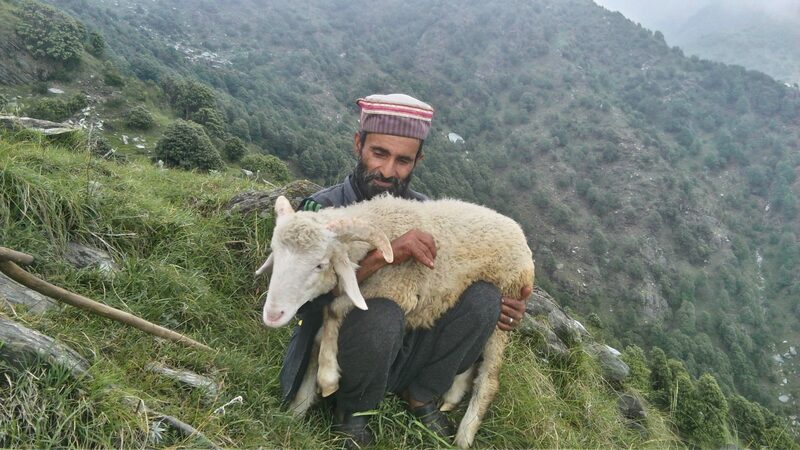 I woke up to a cup of goat-milk chai and shepherd calls. 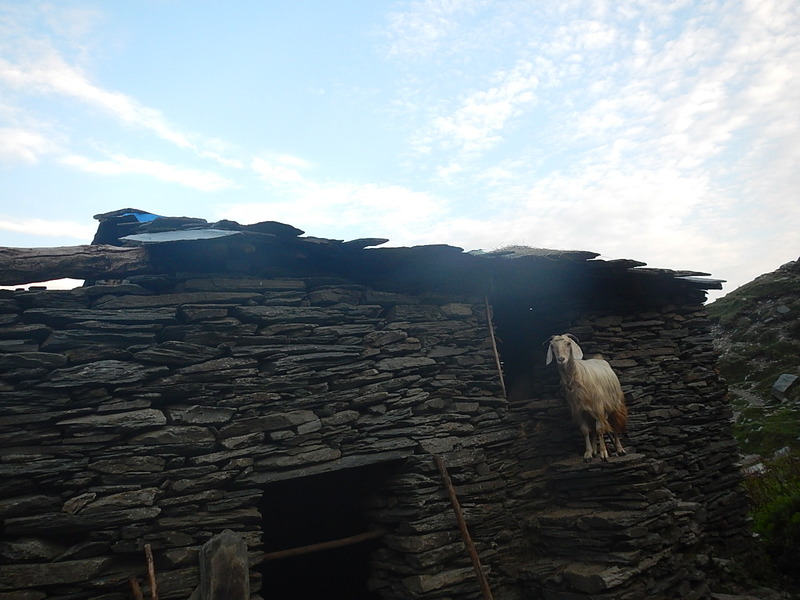 I was deeply moved to witness how they communicate with their goats and sheep as if they are telepathically attuned. And witnessing moments where every call comes from the heart; or a flute. It’s in these moments of connection, I feel so grateful and blessed to be a part of their journey. The cloud gods host a show in the sky. 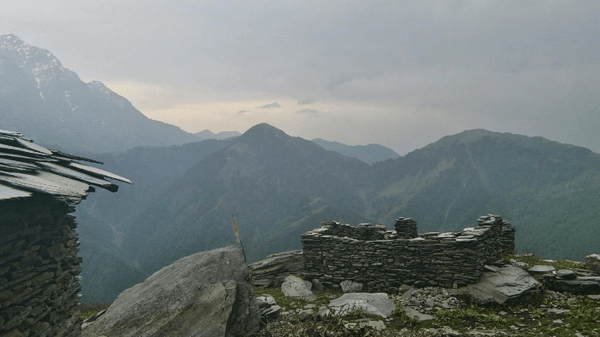 It’s been a few months since I returned from a journey with the Gaddi folk to Rakhala in the upper mountains of Kangra valley, yet I am still under its spell. Hearing tales and sharing these humble moments with Chailo Amma and the shepherds for whom this is a way of life, was indeed, a heart-warming experience. In all these months of living with the Gaddis in Khirku village, this journey has been extremely special. It has been a deep exploration of their culture and way of life. It has been a journey full of learning for us. Right from cooking meals to daily living, it was a valuable learning to make do with minimal resources that ensured maximum happiness. Indeed, it’s true that happiness has nothing to do with what all you possess, but what you bring forth from your heart. 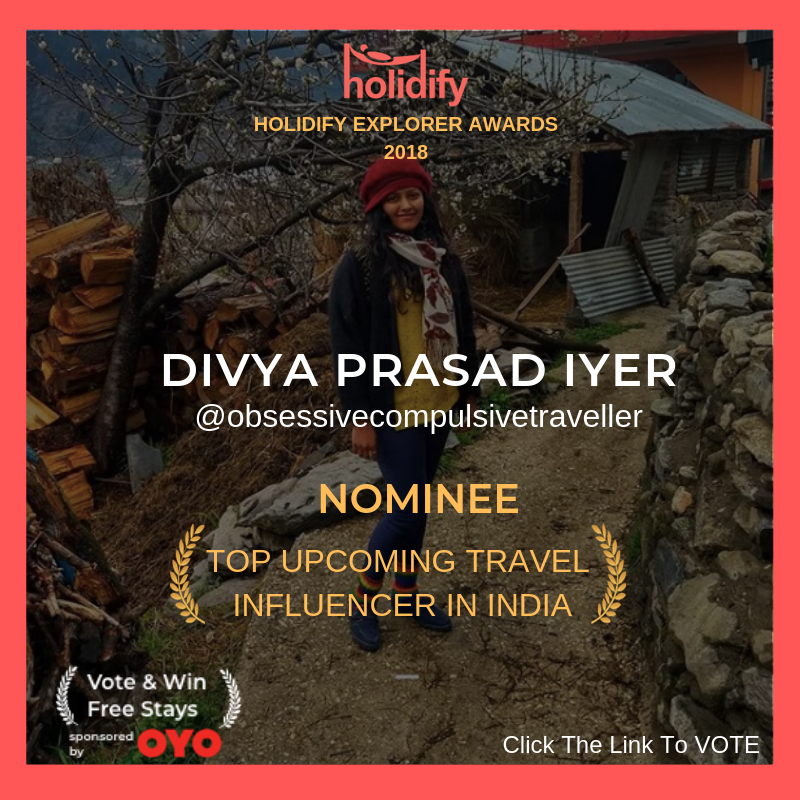 This has been a journey that connected us to these beautiful souls in the mountains. And feeling gratitude for these little joys, connections and what we already have makes a huge difference and creates even more space for happiness in life. This just a snippet of the entire experience. The little tales in those little moments are yet to be inked. Somewhere high up in the mountains, melodies flow through a heart; a little goat finds its way home and these magical folklore find their way into my heart. Previous Previous post: The legend of the mystical Dzi. Next Next post: Dosmoche: A springtime for hearts in the winters of Ladakh.